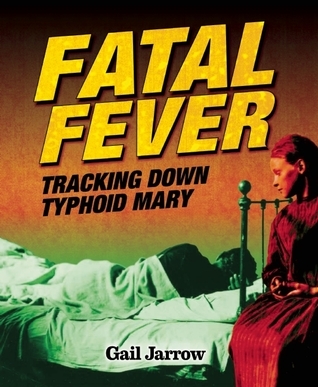 Last week I introduced Gail Jarrow’s newest “deadly disease” book, Fatal Fever. Then I had a chance to sit down and talk with Gail about her book. Me: What inspired you to write about Typhoid fever? Gail: When I was researching Red Madness (about Pellagra), I read a lot of public health bulletins. I kept seeing mentions of typhoid fever – which was happening at the same time. I’d heard about Typhoid Mary, but didn’t know much about her, so I decided to investigate. Then, as I began doing the research I discovered links between the people tracking down Mary and my town of Ithaca, NY, which also suffered an outbreak of typhoid fever. Learning about the people – Mary and the scientists tracking her – gave me a connection to this story. You can read more of our interview – and enter for a chance to win a copy of this book – over at Sally’s Bookshelf. The giveaway ends on Friday. Booktalk: In the early 1940s, young women enlisted for peacetime duty as U.S. Army nurses. 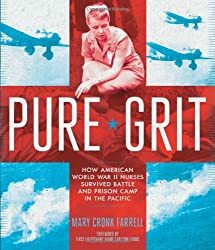 But when the Japanese attack on Pearl Harbor in 1941 blasted the United States into World War II, 101 American Army and Navy nurses serving in the Philippines were suddenly treating wounded and dying soldiers while bombs exploded all around them. Snippet: When Ethel cruised into Manila Bay in July 1940, much of the world roiled with conflict. Germany had crushed most of Europe by using a new war tactic called blitzkrieg, where troops, tanks, and airplanes all attacked at once. Now Nazi leader Adolf Hitler prepared to blitzkrieg England. On the Far East, Japan was on the march. The previous month Britain had ordered the evacuation of all British women and children from Hong Kong, fearing Japan would capture the city. The only democratic powers left in the world were the United States and Great Britain. 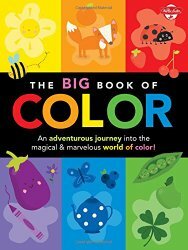 Over at Wrapped in Foil blog we are featuring another book to ignite art creativity: The Big Book of Color: An adventurous journey into the magical & marvelous world of color! (Big Book Series) by Stephanie Meissner, with artwork and illustrations by Diana Fisher, Lisa Martin, and Damien Barlow. It’s big, it’s bold and it introduces children to color wheels, complimentary colors, analogous colors, and color values through activities and tear out pages. After covering the basics, the book then features each of the six colors of the color wheel, plus pink, brown, gray, white and black, in big multi-page spreads. It is hard not to get excited by color! The Big Book of Color has a little something for everyone. Preschoolers generally are the ones learning their colors and thus would appreciate the featured color sections. The consumable art pages, and draw and color activities require fine motor control skills of 7 or 8 year-old children. The beginning section of art concepts section might even be helpful for adults to brush up on color concepts before working with children. The bottom line is that it would work well for families and mixed-age groups. Check our post for a related activity using color bleed art tissue paper. Read more middle grade reviews at Ms. Yingling Reads. A little more than 100 years ago, public sanitation was so completely different than it is today that it is almost unimaginable. Raw sewage being let loose in city streets or rural creeks, crowded living conditions complete with rats and all manner of bugs, and only rudimentary medications to help when people fell ill. This was the world of Typhoid Mary, aka Mary Mallon, the cook who was an unwitting carrier of typhoid in early 1900s New York and environs. Since she herself had never been ill with the fever, and was a clean person according to the standards of the time, she refused to believe that she was responsible for more than 20 deaths of people who fell ill after eating her cooking. Even more interesting is the work of George Soper, a leader in the sanitation movement, who was able to pinpoint Mallon as a key figure in many of the typhoid outbreaks he was studying. His detection lead not only to Mallon’s identification, but to the identities of several other carriers who sickened those around them while remaining well themselves. Also interesting is Josephine Baker, a NYC medical investigator who went on to work extensively with children’s health initiatives. Mallon’s story is an interesting one, and this book gives background information on typhoid as well as following Mallon’s actions and the results of her stubborness to quit working on her employers. Well illustrated, with an excellent bibliography, this is a great addition to a middle school library collection for research, but also for readers who like literary nonfiction in the style of Russell Freedman or Jim Murphy. It is hard for people today to understand what an epidemic is, or how terrible some diseases can be, which might explain the current trend in the news of people not wanting to vaccinate children. This book explains those things beautifully, and is an excellent companion to Julie Chibbaro’s Deadly. 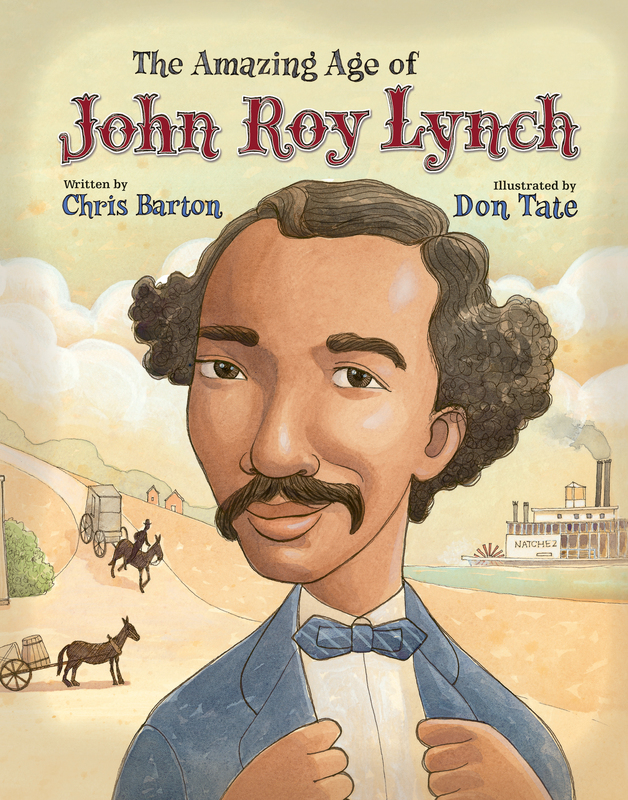 The Amazing Age of John Roy Lynch is a nonfiction picture book for school-age readers and listeners. More than just an inspirational story of a former slave who becomes a landholder, judge, and United States Congressman, it is a story that focuses on the great possibilities presented during the period of Reconstruction. “In 1868 the U.S. government appointed a young Yankee general as a governor of Mississippi. The whites who had been in charge were swept out of office. By river and by railroad, John Roy traveled to Jackson to hand Governor Ames a list of names to fill those positions in Natchez. After John Roy spoke grandly of each man’s merits, the governor added another name to the list: John Roy Lynch, Justice of the Peace. Sadly, the reason that John Roy Lynch’s story is amazing to today’s reader is because the opportunities that abounded during Reconstruction dried up and disappeared as quickly as they had come. The period of hope and optimism for African Americans in the years from 1865 to 1877, gets scant attention today. The life of John Roy Lynch is an excellent lens through which to view Reconstruction. To make sometimes difficult scenes accessible to younger readers, Don Tate employs a self-described, “naive … even whimsical” style. 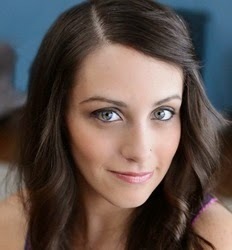 It works well with the sepia-tinged hues that help to set the time frame. The Amazing Age of John Roy Lynch is a powerful, historical reminder of what was, what might have been, and what is. A Timeline, Historical Note, Author’s Note, Illustrator’s Note, For Further Reading, and maps round out the book.